This statistic shows the results of a survey conducted in the United States in March 2017, by gender. 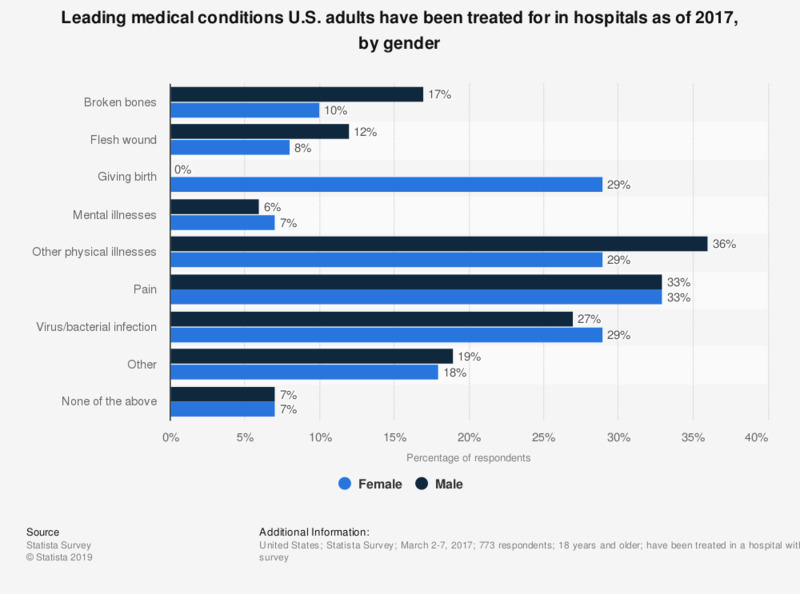 U.S. adults were asked what medical conditions they received hospital treatments for in the preceding five years. Almost one third of female respondents indicated that they had received treatments for a virus/bacterial infection.